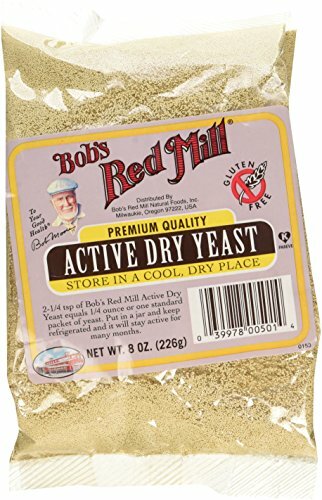 Bob’s Red Mill Active Dry Yeast is premium quality yeasts, preferred by the professional bakers for getting the phenomenal result. It is stronger than any other standard yeast, available in market. You can keep it safe for several months, by storing it in cool and dry place. You can get the Gluten free active dry yeast 8 ounces pack at the affordable price from online shopping in Pakistan. Pick it now and place your order to get it at your home door. Made from 100% all-natural active dry yeast. Will stay active for many months if stored in a jar and kept refrigerated. Used as a leavening agent in premium quality baked goods. Used by professional bakers to obtain superior results.